One of the greatest threats to global health is antibiotic resistance, according to the World Health Organization, and some Wisconsin students have begun the fight to find new alternatives by studying and sampling soil. An event Friday, Tiny Earth in Titletown in Green Bay, will feature presentations from 110 students who have been working over 14 weeks on solutions to antibiotic resistance by studying soil. Those students are part of a larger worldwide initiative, Tiny Earth, to find new antibiotics to address the growing resistance. Tiny Earth is comprised of college and some high school students and teachers in 45 states across the nation and in 15 countries who are working on these solutions. Established in 2018, Tiny Earth is based out of the University of Wisconsin-Madison's Wisconsin Institute for Discovery. "This is an authentic research experience that's designed to mitigate this world crisis of antibiotic resistance and finding new novel antibiotics of which the world desperately needs," said Brian Merkel, associate professor of human biology at UW-Green Bay and organizer of the event. Bacteria in some soil environments have caught the attention of researchers because of their evolution system. Essentially, they've learned to "outcompete" neighboring bacteria by producing antibiotics. Merkel said antibiotic resistance was created by humans after the discovery of penicillin by Alexander Fleming in 1928. It became evident by 1961 that bacteria resistance was a problem with the development of super bug MRSA, or Methicillin-resistant Staphylococcus aureus. "Already a couple decades into this amazing discovery (of penicillin), something sinister was on the rise," Merkel, also an adjunct professor of microbiology and immunology at the Medical College of Wisconsin, said of MRSA. Bacteria can become resistant to antibiotics in part because they can replicate quickly, creating new generations within minutes. Each time they replicate, they have an opportunity to genetically mutate, or change their DNA. 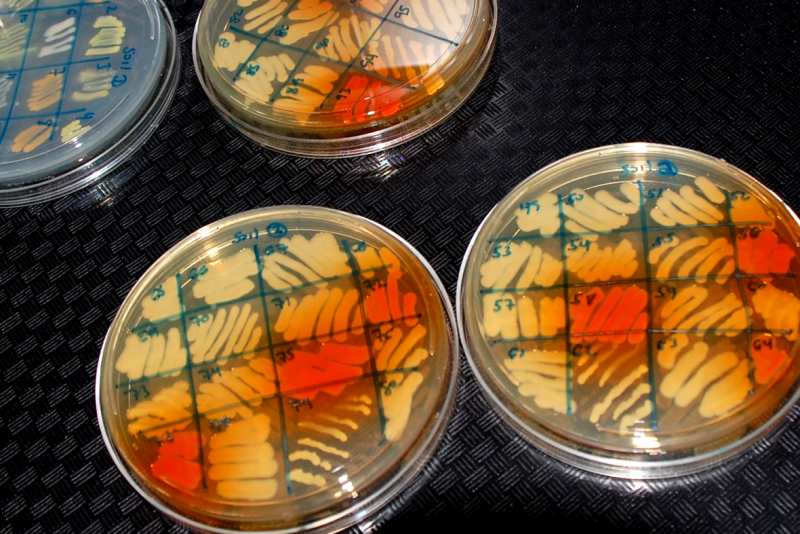 Further compounding things is that these bacteria can then share resistant information with other bacteria. That's a problem because there have now become cases where nothing on the shelves will treat certain infections, Merkel said. "In many cases, these kinds of infections that are caused by totally antibiotic-resistant bacteria, they affect those among us ... that are the most vulnerable," he said. That might include the elderly or people with compromised immune systems. Humans have played into the uptick in antibiotic resistance because of over- or under-prescription of these agents, as well as by patients taking them incorrectly. For example, part of the problem stems from patients not completing their round of antibiotics. It's important they do that, because research has figured out the appropriate amount for best effectiveness, and that informs doctors' prescriptions. Additionally, patients historically were given antibiotics to treat viruses, even though viruses don't respond to them and can't be treated by them. Agriculture plays a role, too, because animals might be given antibiotics to help promote growth, but those antibiotics can get into human system in low concentrations. That makes it easier for the bacteria already inside humans to react to the low doses of antibiotics and build up resistance to them. Tiny Earth in Titletown is from 5 to 7 p.m. Friday, Dec. 7, 2018, at Lambeau Field's 4th Floor Indoor Clubs. Doors open at 3 p.m. Students will display posters that help present their research, and will compete for top prizes. The evening also will feature a conversation about how students in Wisconsin are using soil to find solutions to antibiotic resistance.